West Ridge | Just Shooting Memories! After church Easter Sunday, I went to West Ridge Church in Dallas Georgia to get a few family photos. 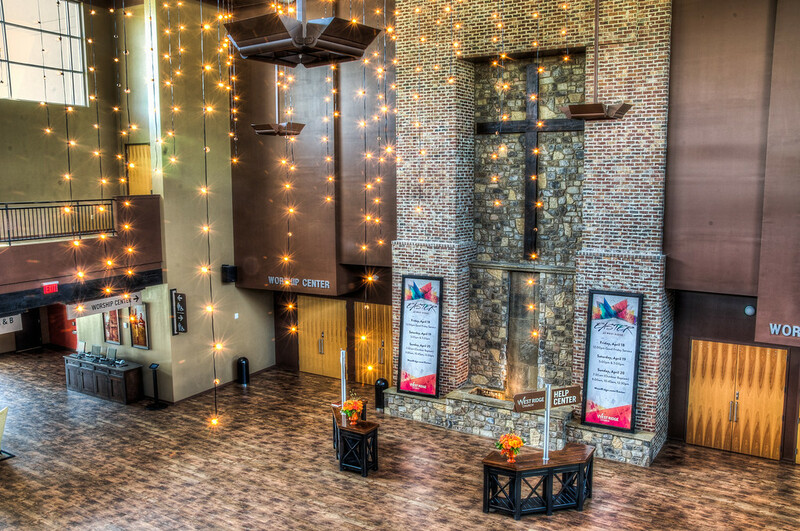 In the atrium is this large cross and it had been decorated with hanging lights. Made for a good photo opportunity. By closing the aperture as tight as I could get it, I was able to make the lights turn into little stars.